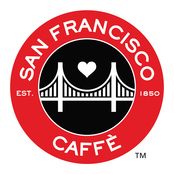 San Francisco Caffè is a specialty coffee retailer in Cambodia that is dedicated to serving the finest coffee and drinks to people from all walks of life and at any point in their lives. Our lives may be full of obstacles, but it is our belief that a great cup of coffee and love can get you through any situation. So we aim to offer “a bit of love in every cup” of coffee that we serve. It is our promise that we will be there to serve you a freshly roasted cup at both your highs and your lows.